The Firebird: mythical beast of Russian folklore, both a blessing and a curse, beautiful, elusive, a healer and protector of the peasant, and the omen of a great quest. It seemed the perfect symbol to unite the disparate group of passionate, dedicated, and courageous women whom I’ve been referring to privately throughout my research as “badass Russian lady revolutionaries”. Which doesn’t roll off the tongue as nicely as “the Firebirds”. So what can you expect to find here? Mainly, a spotlight for women of the Russian revolutionary movement (late-1870s – 1917), regardless of specific party affiliation. Formats may vary. Some will be biographical sketches, some will be written around a theme, some will be articles I’ve written for other outlets which I’d like to expand upon. Where I can, I will include photographs of the women in question; it’s wonderful how much more tangible the past becomes with pictures. The patriarchal, autocratic society of Imperial Russia was an obstacle for women who wanted the freedom to travel, to receive an education, and to be involved in the political and social fabric of their country. Many women found a solution to this problem in the fight for socialism, and a number of them argued specifically that the liberation of women was inherently bound with the liberation of the working class and neither could be achieved without the other. Women’s involvement in the Russian revolutionary movement in fact began to take shape in Zurich, Switzerland, in the 1870s; women were allowed onto university courses there, and those brave enough to leave home and family in pursuit of knowledge found kindred sisters in their fellow students. 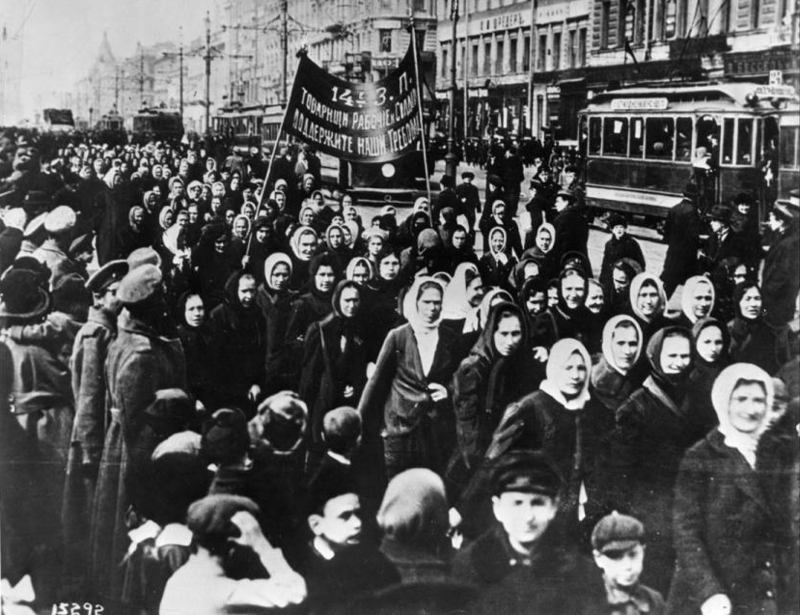 These women helped build the framework of the socialist movement in Russia which would culminate in the February and October revolutions of 1917. And over those forty years, women played pivotal roles at every step, participating in strikes, working as translators, secretaries, writing articles, organizing safe houses, operating printing presses, making speeches, and even acting as assassins. Opportunities for women were numerous and varied in socialist circles, and those who took up the cause quickly learned one of the most important lessons for radicals everywhere, in all periods: a woman’s place is in the revolution. This blog has been percolating for some time. Working on my PhD (of which this is an immediate offshoot), presenting at conferences, moving house, and other “more pressing” issues kept getting in the way. But two weeks ago I realized how important it was to start this part of my project as soon as possible, whether I was ready or not. Millions of women – and men too – are more galvanized than ever, more eager and more determined to fight back against what at first glance seem like insurmountable odds. The women I’m researching managed precisely that. So I’d like to share them with you. They are an inspiration, a warning, but above all they are proof of the indomitable power of the human spirit and of womanhood in the face of unjust systems. These women, who refused to stay silent or turn a blind eye to pain, inequality, and injustice, broke with social convention – for themselves, for factory workers, for the people, for other women; for love. Their love was a jumping-off point for action. To quote Fred Rogers: “Love isn’t a state of perfect caring. It is an active noun, like struggle.” Love and struggle are the two most prevalent themes in the lives of Russia’s revolutionary women, and the greatest legacies they have left behind. Let’s make use of them.